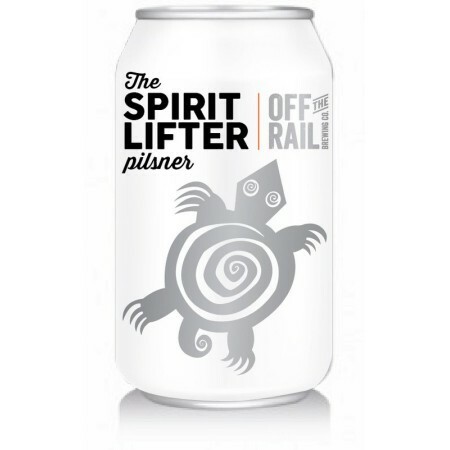 VANCOUVER, BC – Off The Rail Brewing that a beer released earlier this year in support of an ailing legend in Canada’s music scene will be on the shelves for a while longer than originally planned. Spirit Lifter Pilsner was created to raise funds for John Mann, vocalist of iconic Celtic-folk-rock band Spirit of the West, who was diagnosed with early-onset Alzheimer’s in 2014. Mann subsequently retired from performing following a trio of farewell shows at Vancouver’s Commodore Ballroom in April 2016. Off The Rail has a number of connections to Mann and the band, with the family of brewery co-owner Steve Forsyth once being owners of the Railway Club, a venue where Spirit of the West played many of their earliest shows, and Forsyth’s sister Janet managing the band for many years. Spirit Lifter debuted in June at BC Liquor stores and private retail locations throughout British Columbia, and was originally intended to finish its run this month. But after raising $10,000 for Mann and his family over the summer, Off The Rail has decided to keep it in production until March 2019.